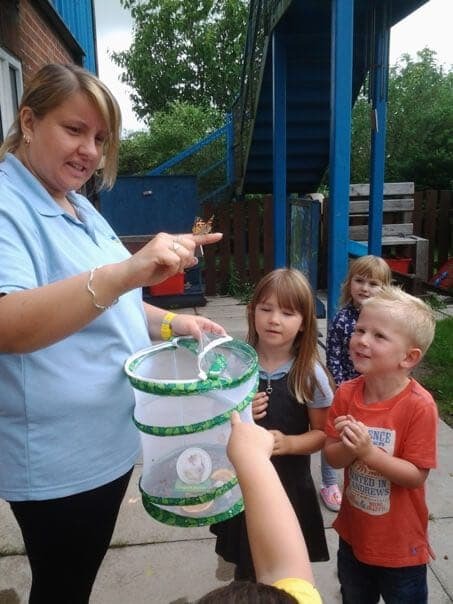 We released our butterflies today and they looked so beautiful as they flew off into our garden. 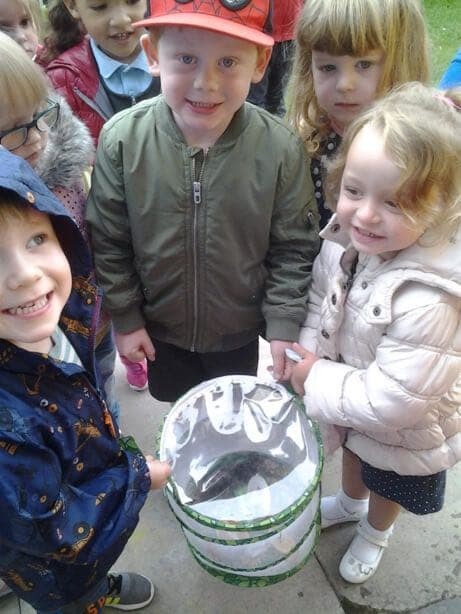 We had raised the butterflies from caterpillars, feeding and watching them as they grew and then spun themselves into cocoons. The children leaned all about the butterfly’s life cycle and enjoyed drawing pictures and doing paintings of the different stages. 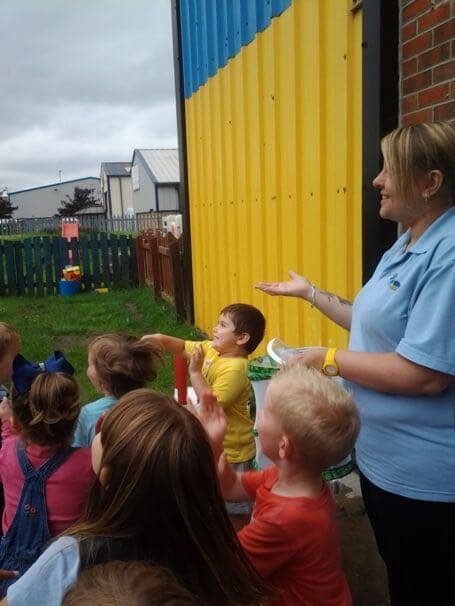 This encourages the children’s knowledge and understanding of the world and will give them an appreciation of nature that will last them their life time.